In a bid to quadruple cycling levels in the capital by 2026, Boris Johnson, Mayor of London last month unveiled plans to put nearly £1bn towards “claiming central London for the bike”. EastLondonLines spoke to cyclists in our boroughs, asking if they thought this target was achievable. Most of their reactions were positive, although some still had reservations about the amount of infrastructure change necessary to truly make London a cycling city. The plans are modeled after the Netherlands, which at over 30 per cent has the highest rate of cycling in Europe by far (as a main mode of transport). UK-wide, the rate of total journeys made by bicycle is around two per cent while currently just over four per cent of Londoners use cycling to get to work. The initiative will see the “Crossrail for the Bike” network implemented over the next four years. Segregated, semi-segregated and quiet-ways will also be put in place, targeting particularly people who are intimidated by road traffic interaction. In addition to safety, the prospect of theft could also deter people from cycling. Croydon, for example, has the lowest rate of cycling (one per cent) but the highest rate of bike-related crime (thirty nine per cent). The borough also has the highest casualty rate among its cyclists at just under four per cent. 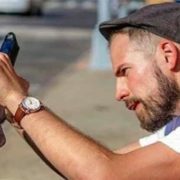 Hackney has, at fifteen per cent, the highest rate of cycling in the capital and the fourth highest in the entire country. However, rates casualty rates are the lowest of the ELL boroughs (0.1 per cent), and so is theft (14.3 per cent). Look at the maps below to compare cycling data across all four ELL boroughs. Click on individual boroughs in the map below to see pop-up videos of ELL cyclists. Dea Cisar, of Brockley, was skeptical. She said: “If they try to do that, there will be four times the number of accidents. In Tower Hamlets, Peter, manager of Brick Lane Bikes, also questioned whether or not London could reach the targeted levels of cycling. He said: “Something needs to be done or this increase won’t happen. 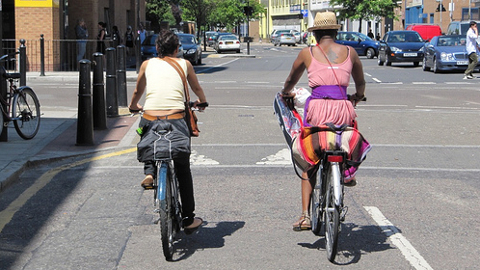 I have a lot of friends, especially girls, who are afraid of cycling in London. Meanwhile, in Hackney where rates are already far higher than the citywide target, cyclists were upbeat. Jacqui Ma, designer of GoodOrdering, a line of bicycle bags for women, lives in a flat about Lock 7. She has been cycling for more than three years in London, and remained positive that the trend and aesthetic of cycling in Hackney could spread to other boroughs. Rachel Aldred, leader of MSc in transport planning and management at Westminster University in Marylebone, told ELL she thinks the target can be met and hopes that it will be exceeded. Click on the video below to listen to more of her thoughts on London cycling. 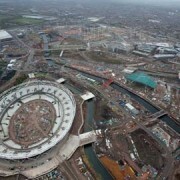 Inspiring Olympic legacy or poisoned chalice? While such a statistic sounds horrifying, it’s a pretty logical conclusion to make, this is not always the case, as proven in the exact same article and in London no less (just to cite one example)! This can also be seen in other popular cycling cities. The increased presence of cyclists on roads etc, comes increased awareness and sometimes infrastructure and in fact the opposite happens. It becomes safer to ride a bike, not more dangerous.